Observation - Stork's-bill? - UK and Ireland. 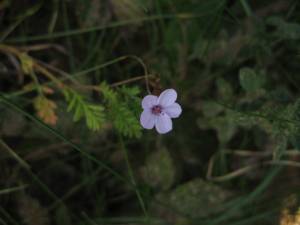 Description: Is this a Stork's-bill? Looks about right but I'm not sure. I think Sticky Stork's-bill is a possibility at this location, but I believe that confirming the species requires examination of the fruits. Is this a Stork's-bill? Looks about right but I'm not sure. I think Sticky Stork's-bill is a possibility at this location, but I believe that confirming the species requires examination of the fruits.